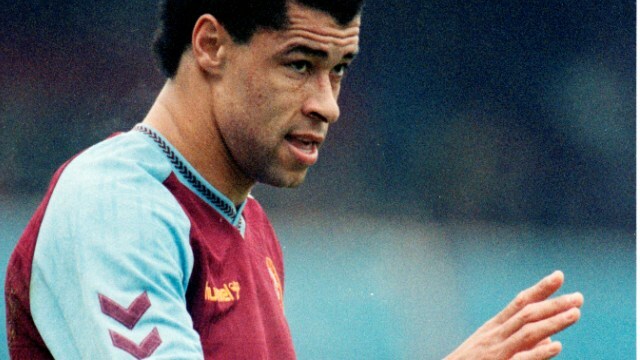 Paul McGrath tells it like it is on Twitter, while the Villa board seem a tad deluded. MOMS doesn’t do straight-up match reports, mainly because it’s pointless to add to what is already out there. We prefer to leave it to the folk who get paid to do it and get into Villa Park for free. At the moment, getting into Villa Park for free is probably the only way you could live with yourself on the back of yet another abject performance by the team, as they crashed to a 2-0 defeat to West Ham. What most reports of the game should be telling you now that it is increasingly apparent that Paul Lambert lacks the necessary tactics and plan to deal with his team’s home blues. His only recent win at Villa Park was when the form book and tactics went out of the window in a local derby. The club looked in January for a midfield remedy for the lack of dimension to Villa’s home play, and not capturing such a player has to be deemed a failure. Villa’s home form is rubber-stamped relegation form, only Fulham have picked up less points, and three of them were typically against Villa. We can only hope the team continue to pick up points away from home to save their season. Not only is the home form beyond funny, but so if the squad’s lack of depth. We already know we’re limited in midfield, but what about the defence? Yes, Villa got unlucky with Jores Okore’s injury, but as soon as Ron Vlaar is unfit, Villa look second best against most teams due to the inexperience of their two centre-backs. It may have escaped Lambert’s notice, but Vlaar seems to go missing due to injuries for a considerable amount of games and cannot be relied on (especially around winter). OK this is poor – developing – squad but put the West Ham game into the bigger picture. We may have improved a bit… but West Ham improved a lot. Give Allardyce credit, superb defence, the old fox got it right. Two mistakes from villa, two goals. We had 67% of the ball (not that it matters) and 10 shots (which do) and hit the bar twice. Marc ALbrighton was a big gain. Home form is rubbish, 4 wins in 16. But WEst Ham are playing the game as it has to be played. For survival. And if Chelsea could not break them down, don’t beat yourself up because VIlla narrowly could not. If we survive this season we will be making progress. Its just not wonderful and Lambert should get some advice on how to talk to the media. Valencia fans all stayed out of their seats and in the concourse for the first ten minutes of the second half of their game against Swansea. Supported the team for most of the game but their absence on TV pictures made a clear point to the owners. pochetino is being wooed by Real Madrid. We are going to have to deal with Lambert, and the first port of call has to be why we don’t have any supporters forum to discuss the issues we face. no one takes the villa fans seriously as we keep turning up and taking rubbish on and off the pitch. As I have said more than once before, If MOMS and the Trust want to show they have a role to play, set up a proper debate. This is the 4th year of relegation struggle. Yet the board aka Lerner thinks that we are making progress and Lambert should have a new contract. We have no choice but to make a collective view known, as we still have to go to the matches. But how to do this? Lets see a serious debate going. Interestingly, before the game, Lambert said there had been a massive improvement at the club from the last time Villa player the Hammers at Villa Park. Considering Villa won last season, that’s interesting.